Cancun and Riviera Maya are great spots for relaxing on white sandy beaches, Cozumel is the place for snorkeling or diving and the city of Chetumal is where people go if they want to connect with nature. This Mexican city is located just north of Belize on Mexico’s Yucatán Peninsula. 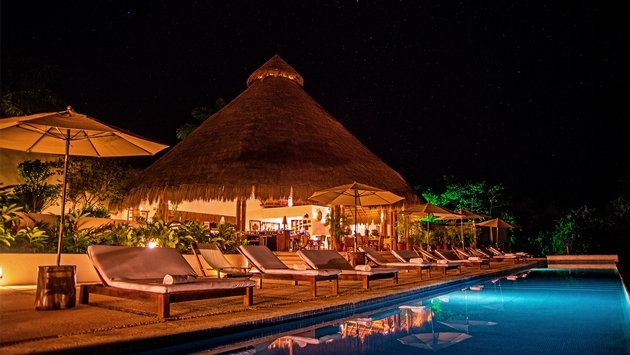 The Explorean Kohunlich, a La Colección Resorts by Fiesta Americana resort, is the perfect hotel to stay at for ensuring an adventurous vacation, as its location is set in the Mayan jungle. The rooms and décor at this authentic resort set the stage right away. The Cabana and Bungalow rooms have a rustic vibe leaving guests feeling cultural from the start. Some rooms even have a hammock hanging on the porch for afternoon cat naps. Several activities are available right on property and in the surrounding area. Visitors can grab a bike and take a cruise through the Mayan rainforest or kayak through the nearby lagoon. This is prime time to keep your eyes open, as it is likely you’ll see various types of birds and other animals living in the trees and mangroves. For a more laid back adventure, guests can simply take in the surrounding flora and fauna or visit the archaeological sites. To take relaxation a step further, guests can choose to visit the spa for a massage and spend the rest of the day at the pool.